I enjoy watching the Despicable Me movies, though not enough to actually watch them anywhere but planes. This one was another enjoyable diversion, though lacked the big heart and emotional pay-offs of the other films. 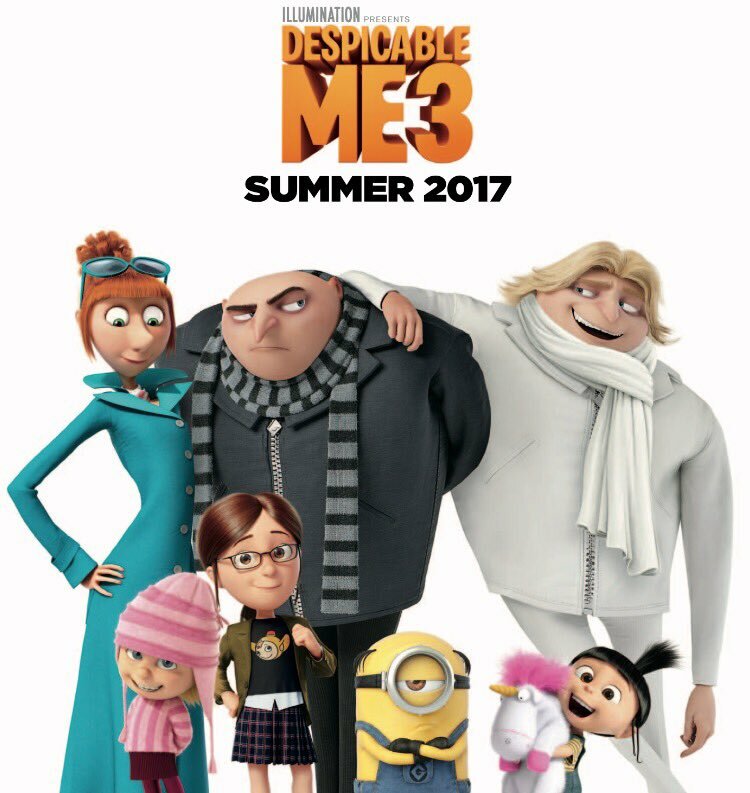 Quite a lot happens at once - Gru is reunited with his brother, who's a good businessman but terrible villain - while also having a vendetta against a new supervillain with an entertaining 80s theme and the voice of Randy Marsh. The kids have their own stories - little Agnes is adorable looking for a unicorn while Margo gets accidentally engaged. There's also a new agency boss who seems like a bit of an offensive stereotype to me. Oh, and the minions quit and go on various episodic adventures. Everything comes together for a fun big climax with lots of action and lasers and screaming, and it's definitely enjoyable, but the other films felt like the offered something a bit different and unusual. This one felt like an old direct-to-TV sequel or special extended pilot to kick of a TV series. Still fun, but without offering anything new. That said, it’s pretty astonishing to see the worldwide success of this franchise. The Minions seem to really appeal universally, and I see quite a lot of merchandise for them in Japan. This indifferent sequel became only the sixth animated movie to gross more than $1bn worldwide – with Minions being another. It’s in the top 25 highest-grossing films of all time. Pretty crazy, but testament to good marketing and the groundwork lain by a strong, well-made franchise.